If you want your customers (new or existing) to be able to place orders for new tours directly on your website, we have a solution that will make your life much easier. You can find Order Forms under My Account. 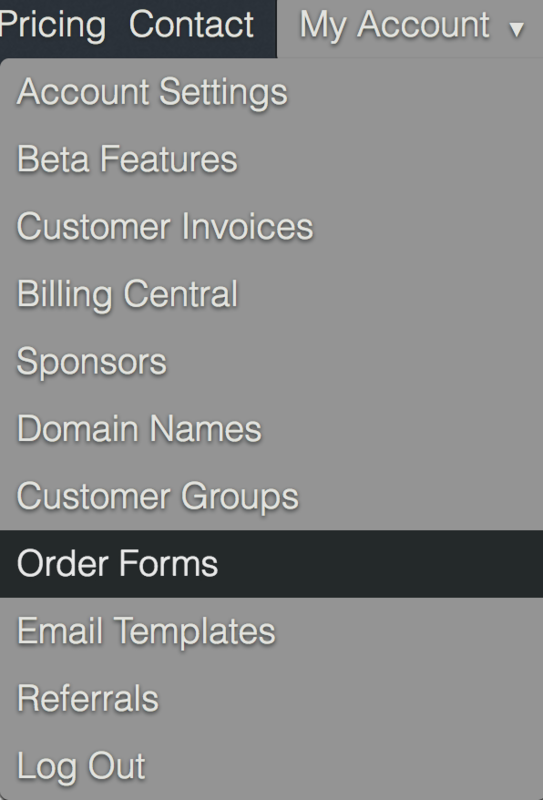 In this section, you will be able to create an order form that you can either link to or embed that will enable you to lay out the packages and bundles that you offer, take orders from customers, and populate your Tourbuzz account with those orders. Saving you time and money by reducing manual data entry along with streamlining your order workflow. When you create an order form, you are provided with an embeddable <iframe> which you can place in any HTML page you have on your website. In addition to your Tour Plans, you can list À La Carte Options and any Licensing Terms you may have on your work. If you have licensing terms, the user will be forced to check a box that states they agree to those terms. When someone fills out your form, some real magic happens. When the Customer enters their email address, if they are already a Customer in your account, the form will automatically fill in with the rest of their Contact Info, and if they are not already a listed Customer, the form will automatically create a Customer Record for them under your account. You will be notified by email of the order and the Customer will receive an email verifying their request. In addition, the form creates a Time Request for the shoot which you are notified of. If you choose to accept the requested time slot, a confirmation email will go the Customer, and the time will automatically be entered into your "My Schedule" section, and if you have sub-photographers listed in your account, it will go on the calendar of whoever you assign the shoot to. Unconfirmed tours also go on to the calendar, but are marked "unconfirmed". In addition, a Tour will be generated for that Customer. This will eliminate the need for you to type in the address of the property. All you will need to do is add the media files and Publish the tour. When one of your customers fills out the order form and hits submit, a thank you message will appear on their screen. 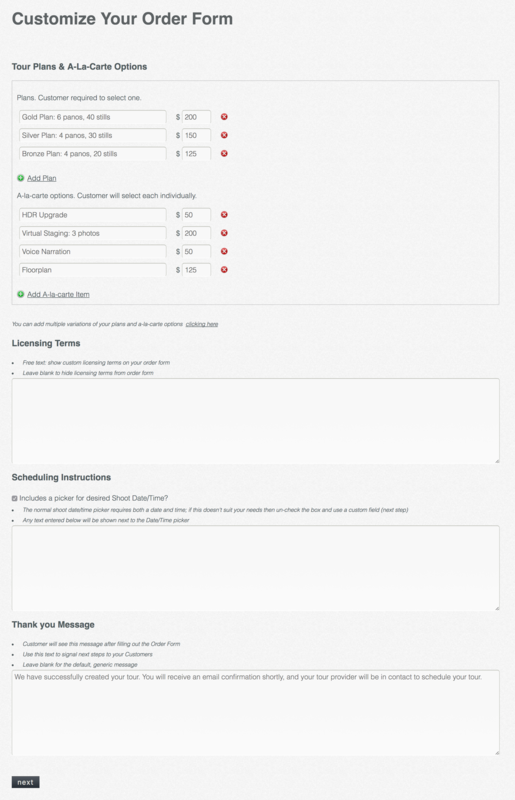 You are now able to customize that thank you message and let your customers know the next steps.